This Hockey Ball is a great training item for all ages of beginners. This ball is made from a high-density molded vinyl PVC material. Ball delivers superior performance with minimal bounce. 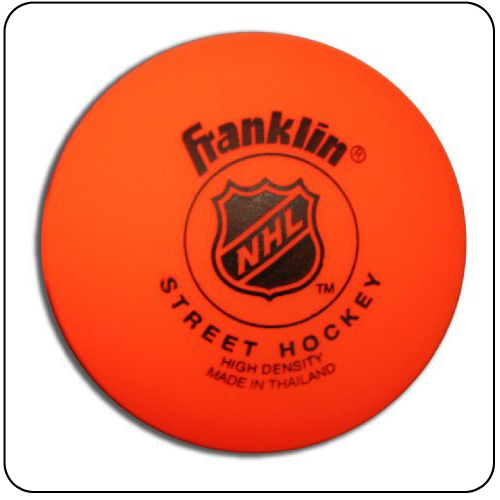 The Hockey Ball measure (2 5/8”) round and is a bright Orange color. Constructed very well and can be used indoors or outdoors. This ball is a nice light weight - bright colored - and a bit bigger for little ones to train with.